Product prices and availability are accurate as of 2019-04-10 18:55:43 EDT and are subject to change. Any price and availability information displayed on http://www.amazon.com/ at the time of purchase will apply to the purchase of this product. Chrome plated and polished vanadium tempered steel. Set of four, heat treated alloy, Rugged I-beam handle and jaw provides greater strength and better fit. 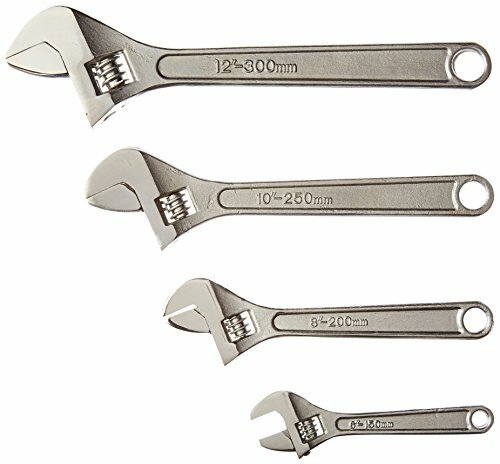 Wrench sizes (6", 8" 10", 12").